Photo of: East Coast of Ireland: Louth: Drogheda. 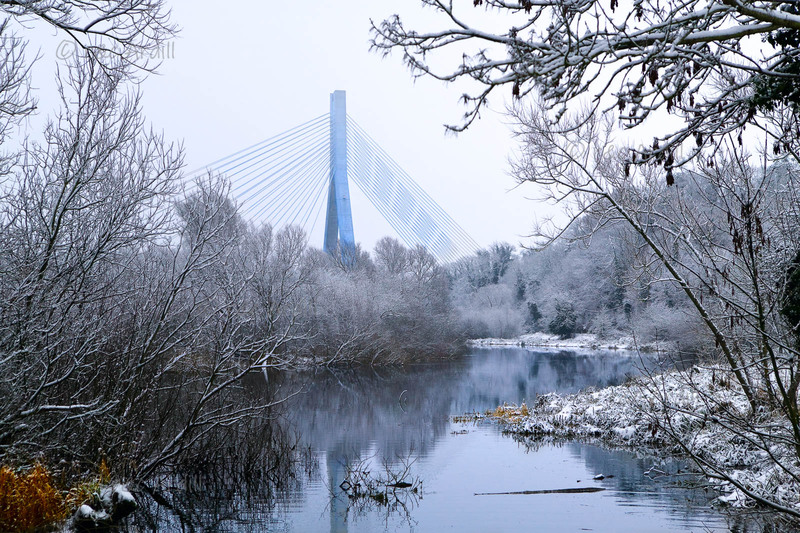 This is an early morning photograph of the Boyne Cable Bridge in winter. The bridge is illuminated by a bluish light that gives it an ethereal look.